You can easily use SophiaCompress(Java) OASIS with Graphical User Interface. All you need to do is select the file that you want to compress and click on the "Compress" button in the window. Command-line User Interface which is suitable for compressing multiple applications is also available. 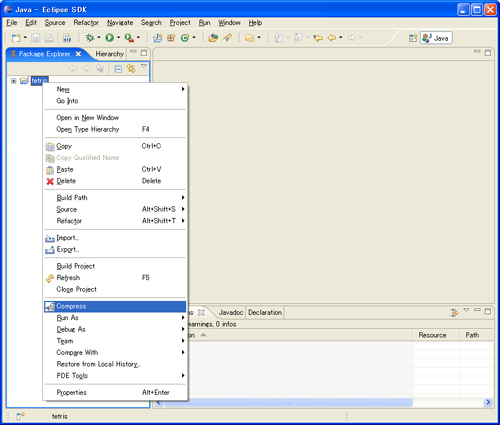 Applications can be compressed using Eclipse if the Eclipse plug-in for SophiaCompress(Java) OASIS is installed.